New Showroom Now Open! Come see us at 367 Ellington Road, East Hartford (Map). This is a new National Building Products location. This property was previously occupied by Builders First Source, and therefore you may find online sources such as Google Maps still have that company name associated with the address until the update goes through. You're invited to stop by and see what has changed since National took over. 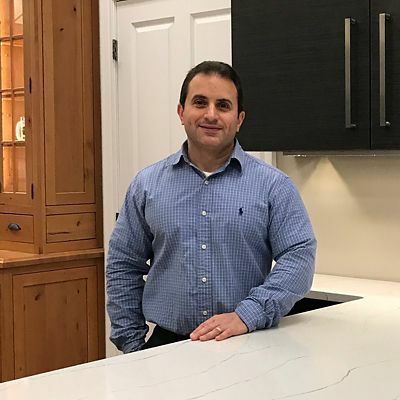 John Ferrato, an experienced designer, works with both builders and homeowners. He understands how projects are built and will help to keep your job in budget and on schedule. Many cabinetry, decorative hardware and countertop selections are available. Serving the Hartford area and beyond. Everyone is invited to visit during regular hours to browse through the showroom. Please call to schedule a design appointment and receive undivided attention.